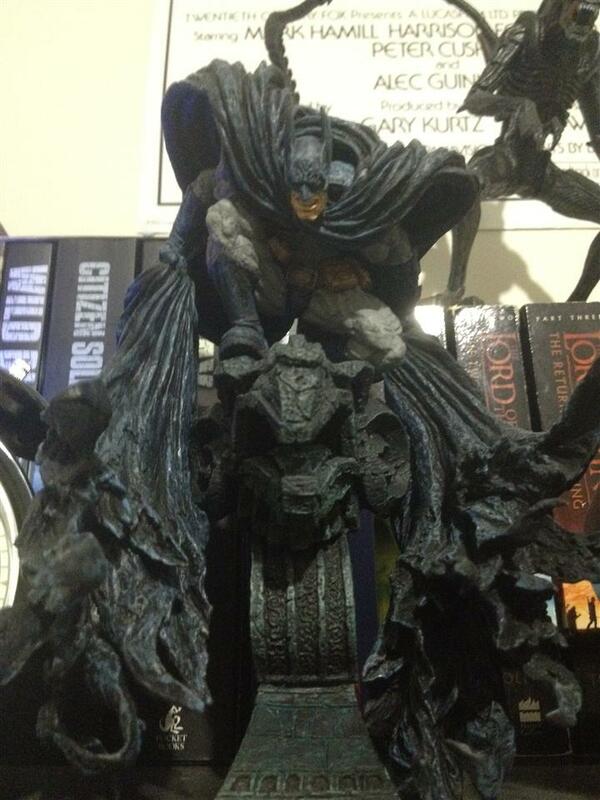 Kotobukiya Gargoyle Batman collected in Figure Collection by Tayler Rowe - Collected It! This little guy is quite the shelf topper. From base to tip it probably stands around 9 inches and the texture on the whole things is noticeable from pretty far away. The cape being swooped out the side is a great effect done by the always spectacular Kotobukiya, these guys seriously cant go wrong, and even down to the 5 o'clock shadow on batman's stern chin looks great.